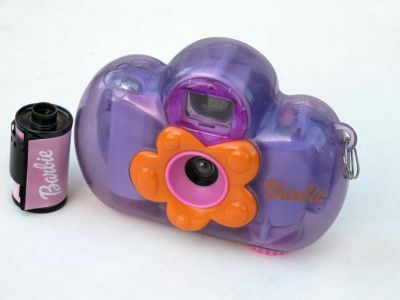 Cameras Downunder Gallery - Barbie & Hello Kitty Cameras/Barbie 35mm camera. Barbie 35mm camera. Clear Cool'n Squeezey, camera takes 35mm film. made by Mattel ca.2000 ?